Having air conditioning doesn't just keep you and your family comfortably cool and dry. It can also protect your home. Since heat and humidity can swell wood furniture, flooring, molding, and structural beams, this can eventually cause damage to your home. Summer weather also makes basements damp and can spread mold or mildew. Thus, investing in a new energy efficient air conditioning system can be a complex process. Fundamentally, the best air conditioning system for your home is one that handles your home's heat load efficiently for the least cost. However, a poor installation can cost you more in the long run, so you shouldn't trust just anyone with the high voltage electrical and gas burning equipment in your home. A guy with a truck might be cheap, but when it comes to the safety and quality of his work, your family probably can't afford it. You want a professional job done right the first time. Your home is unique. It has its own heat load that defines its own unique cooling needs. Heat load is not determined by square footage, but is calculated by taking into account the area of exposed walls, the type of and glass-area of windows, the amounts of insulation throughout your home, shading from trees, and the total volume of your home. The capacity of the air-handling system (or blower) and duct work must also be correctly matched. Most important, however, is selecting the right size and efficiency of the air conditioner unit (or condenser). 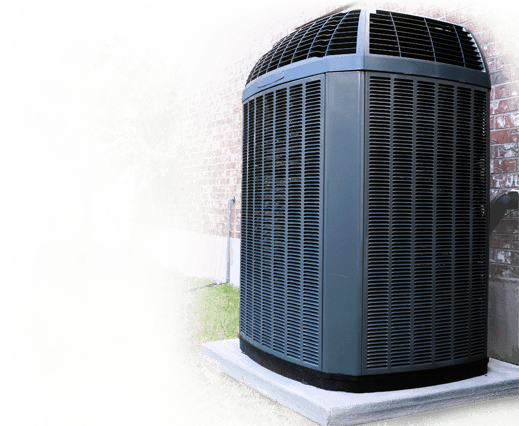 Air conditioner condensing units are rated in tons of cooling capacity to describe its maximum rate of removing heat from a conditioned space. Capacity is expressed in British thermal units (BTUs) per hour. One ton of cooling is equal to 12,000 BTU's (British thermal units). So, a typical residential 2 ton unit cools 24,000 BTU/hour. But while two air conditioners might be rated for the same tonnage, they could be completely different in terms of their energy efficiency or Seasonal Energy Efficiency Rating (SEER). Older, less efficient systems may have a SEER rating between 10 and 12. New high-efficiency ENERGY STAR® qualified units can have a SEER rating up to 20. That difference in energy efficiency could mean hundreds of dollars in energy costs each year. What System Is Right For My Home? Matching the right system to your home's needs begins with a visit from a Direct Energy HVAC expert. These pros have years of training and are experienced with current equipment. They can tell you about different cooling options for your home and how each will work with your home's heating system. These experts can design and recommend the right energy efficient cooling system to reduce your home energy usage and save you money. Even with a perfectly designed system, you want the installation job done right the first time by an installation team that rolls out the red carpet? to the furnace room for you. The day before the installation, the Direct Energy team will contact you with the time they will arrive to begin work. They will inquire about parking plus ask if there might be any issues with pets. When they arrive, they will explain to you all aspects of the job. This may include drilling holes for new duct runs, coolant lines, or wiring. They will also explain whether any other household systems might be affected, such as water heating for Hydro-air systems or if any circuit breakers will need to be turned off and for how long. Installation is often messy work. Because every home is different, professional installation teams fabricate and custom-fit all their own metal ductwork, coolant supply lines, and gas supply lines. This ensures that all system components fit and function properly according to manufacturers' specifications and give you years of trouble-free comfort. They make certain that all new equipment runs to the manufacturers' specifications, the right comfort levels are met, and limited noise is made when the system is running. By double-checking everything from blower mounts to pipe connections to wiring, professional technicians reduce or eliminate future service costs and extend the life of the whole unit. Not everyone can do this kind of work well. At Direct Energy, our technicians have all passed education, apprenticeship, and licensing requirements. They are familiar with current electrical code and are trained in the safe handling of R-410A refrigerant used in all modern air conditioning systems. Team members are also trained to use Personal Protective Equipment (PPE) when needed and hold G2 licenses (Gasfitter 2nd Class) , which means they are certified to work safely on any kind of residential, commercial or industrial gas system or appliance. When the installation is over, the team will thoroughly clean the entire work site and pick up all scrap pieces. They will remove all discarded pieces of the old system, such as plastic pipe, metal duct work, circuit boards, and take them to a recycling facility. 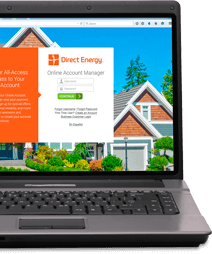 Finally, their work is inspected by Direct Energy's own Quality Assurance Inspectors to approve the proper start, operation, and shut down of your installation before you sign off on it. The team's job is not over until they know you are completely satisfied. A team leader will take the time to explain the system, what you should expect during start up, running operation, and shut down. They will guide you through using the new programmable and smart thermostats, suggest routine maintenance tips, and answer any other concerns or questions. Having new air conditioning installed keeps your home comfortable. A newer energy efficient air conditioning system protects and add value to you home, but only if it's been properly installed. Your home is unique, and so is your comfort, convenience, and lifestyle. That's why it's key to trust your home's cooling systems to the trained and licensed HVAC professionals at Direct Energy -- we will respect you and your home so the job is done right the first time.